A passage in the Gospel of Luke gives many today the idea that Jesus teaches us that God wants us to be rich – and if we only give out money (to others, especially to Evangelical Christian ministers) – then God will make us rich, too! Luke 6:38 reads: "Give, and it will be given to you. A good measure, pressed down, shaken together and running over, will be poured into your lap. For with the measure you use, it will be measured to you." This has become a very popular “proof text” to show that God indeed wants us to become wealthy in this life as a sign of His blessing and “favor” above other people. But those who assert this are not at all hearing the plain (and clear) words God’s chosen, anointed one, Jesus. This is a call to serve and give to others both equally and generously, and for us to serve and give to those who are serving US just as generously – without judgment or condemnation. How wrong it is to turn this into a "Return on Investment" scheme in which we contractually force God into paying us when we give his ministers money! If we actually listen to Jesus, he speaks clearly to us about wealth – and in fact, he speaks about wealth and poverty perhaps more than on any other topic. Is that a clear message about seeking wealth and earthly possessions? How frequently Evangelical pastors forget to quote THIS verse! The message begins: “DO NOT lay up for yourselves treasures on earth.” Is that a message that tells us we will be showered with wealth in this life? Clearly, it’s not the money we acquire, it’s the goodness in our hearts and the purity of our actions that "lay up treasure" in Heaven. And when the one we call “Master” says, “You cannot serve God and money” (Matthew 6:24) how much clearer does he have to be? Jesus also told a Rich Man who asked what he must do to be saved (after telling him to obey the commandments) to sell his possessions (Mark 10:17-22.) What would a well-off family today think when told they must do this to be Saved? Can you imagine how surprised they would be! And yet, many church-attenders today have been taught by their pastors that if they think positive thoughts, have a lot of faith, and “name and claim” the material goods they desire, God will instantly give these things to them. But we are not told by Jesus to “name and claim” riches in the name of God. This is magic, not the God-centered faith Jesus preached. Instead, Jesus says repeatedly and plainly that we should not put our trust in earthly riches, NOR SHOULD WE SEEK THEM, instead seeking the Kingdom of God and praying that we may bring God’s Righteousness into our own lives, and on this earth. What Jesus preached was consistent with the Wisdom of the Prophets of the Hebrew Scriptures. Jesus and the Hebrew Bible instead both call us to be rich in Righteous ACTIONS, even if we are poor in our finances. Jesus and Scripture both teach that riches are judged by what we accrue in Heaven, not on earth. And both teach that poverty in spirit is worse than poverty in material wealth. In fact, material wealth often gets in the way of spiritual wealth. Calling upon God for money, and measuring God’s "favor" and blessings by the money we acquire from God makes God into a Heavenly ATM machine, where we get whatever we wish and our desires are gratified, instantly. Whenever Jesus opens his mouth, his message negates this gross parody of God’s Kingdom. Let us serve God with abundant spiritual Riches, loving God and our fellow human beings as Jesus calls us to do for the sake of God’s Kingdom. As we do this, we will grow eternally in Heavenly Riches that will never fade away and rust and moth cannot never touch. The life of love to God and to our fellow human beings will be a life of action and of service. In the view of Jesus, love is an energetic power which sets all the faculties of the soul in vigorous operation. If we truly love God, we will do His will. It avails us nothing to profess allegiance which is not evidenced by obedience. The way of righteousness is a strait one, and is entered by a narrow gate; that is, the Christian life is not a lax and lawless life, but one on which strict and strenuous demands are made. Jesus often depicts in his parables the nature of the true life as involving watchfulness, fidelity, and labor. “Why do you stand here idle all day?” (Matt. 20:6) is the challenge of the Master in the parable of the Vineyard. Jesus’ disciples are laborers, servants, stewards. Their life is one of duty and responsibility. From these passages it is clear that one's "neighbor" is anyone whom we can help, and that love is, by its nature, large and generous, giving out in sympathy and service to all who come within the reach of its power. 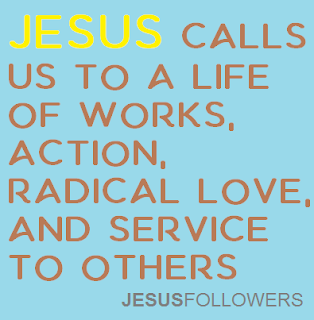 For Jesus, love is not a calculating prudence which renders its services because it hopes for reward in return. No, to love God is to choose his perfect life as our pattern and goal, and to live in the spirit of it. Such is the first and great commandment, and the second is like unto it. Love to man is shown in a Love to Godlike estimate and treatment of others. Such love requires that we strive to realize for our fellow human beings the achievement of divine love; that we view the rights and value of others as equal to our own, and regard and treat others in accord with those universal principles and laws of love and truth which are disclosed in God's treatment of human beings. The righteousness of God is perfect, holy love, and the law of love for us is our likeness to God in our attitude and action. When he was asked for a law by the observance of which one might attain eternal life, he cited the law of love. Love, then, is righteousness. The kingdom and the righteousness of God are to be sought and won by loving God supremely, and one's neighbor as himself. But what, then, is love, and what specifically does love require? The elements of the true righteousness, which consists in love, may readily be gathered from the Sermon on the Mount. The qualities listed in the Beatitudes - humility, meekness, mercy, purity of heart, and peace - are among the characteristics of a true love to God and our fellow human beings. Love prompts us to good deeds, to reconciliation with others, to self-restraint and discipline, to straight-forwardness and truthfulness in speech, to kindness and a forgiving spirit, even toward those who have done us injury. Jesus often illustrated what such love requires: thereby affording us a clear view of his conception of love's nature. The parable of the Good Samaritan is a striking example. (Luke 10:30-37) In it, Jesus shows us at once what is the scope and the action of true love. Such love is universal; it knows nothing of the boundaries which separate social classes. The law of love demands that even a despised Samaritan, if in distress, shall be served and helped. It requires something more than a compassionate sentiment or a patronizing pity. It requires action and effort, and, if need be, sacrifice. It is not satisfied with the theoretic sympathy which says, "Depart in peace, be warmed and filled," (James 2:16) but demands that what the sufferer's necessities require be done. Love also requires us to always be ready to forgive injuries upon condition of repentance on the part of the wrong-doer. Forgiveness on our part is conceived by Jesus (Matt. 6:16-17) as a condition that precedes our reception of God's forgiveness, because the forgiving spirit is a test and measure of the desire for God-likeness. Those whose readily grant forgiveness to any who have injured them shows themselves to be among those who embrace the life of love - recognizing, honoring, and obeying Jesus’ teachings. If we wish to reap the benefits of the divine law of love, then we must consent to put our own lives under its sway. Love is a reciprocal principle; it is a law of right relationships among persons. Hence, the bestowal of the benefits of divine love calls for attitudes of humility and obedience on our part. God equips us, from birth, with gifts that are meant to be used for Good. Jesus - the one God has chosen and sent out as our perfect example - calls on us to do all that is within our power to perform Good Works, relying on these Original, Natural gifts, and seeking greater strength and wisdom from God, Who gives to us abundantly when we need spiritual renewal. Jesus, God's spokesman and our example, did not chart out for us any new way to earn God's favor and eternal life. In truth, he taught the same path that always was, and always will be, the true path to eternal life; namely, keeping the commandments, or loving God and our neighbor, which is the same thing, and is the sum and substance of the God’s Moral Law. Jesus' call, "whatever you wish that others would do to you, do also to them" (Matt. 7:12) summaries his entire ministry and the Hebrew Bible's moral teaching. By following after the path God wishes us to lead – the path of Righteousness – we will live fuller, more complete and more joyful lives. Jesus lays out for us this path clearly, plainly, and in a way that needs no further revelations or elaboration from men. Jesus calls us to seek to become more holy people, to seek to act in righteousness. Jesus calls on us to deny ourselves, and to serve others first. We should live our lives in the joyful service of others. Jesus calls us to achieve, to do, to act, to work, to seek out the truth, to be humble, to worship and praise our God, and to love others. And how do we know that we can do this, that we can do all that Jesus asks of us? Because Jesus lived in perfect obedience, doing in all things that pleased God (his and our Father) and showed by this example that ALL OF US are able to do as he did. We are left without excuse, therefore, and are called to humbly seek the spiritual completeness Jesus achieved, asking God's forgiveness when we fall short, repenting of these sins, and seeking strength to continue in obedience. Let us humbly and with reverence serve God according to the example He has chosen for us – through the life and the teachings of Jesus. Let him alone be our example and guide in all things. Jesus' ministry was a call to humanity to come back to God, our Creator. That’s not a minor thing, nor is it a call that can leave us unchanged. In fact, while we may come to God “as we are,” we cannot remain unchanged after approaching our Heavenly Father, Who is our Creator. God chose Jesus, anointed him, and sent him out to preach His Truth. Jesus’ ministry calls us to make changes to our life, as well as to humbly approach God in repentance. Without action on our part, starting with repentance, we aren’t truly returning to God, but simply SAYING we are. 1. Jesus calls us to love God with all our heart, soul, mind and strength (Mark 12:30.) That’s complete and total love, not just lip service or emotionalism. 2. Jesus calls us to love each other, our neighbors, with the same zeal with which we love God – complete and total love (Mark 12:31.) And all people are our neighbors. 3. Jesus calls us to deny ourselves take up our cross and follow him. 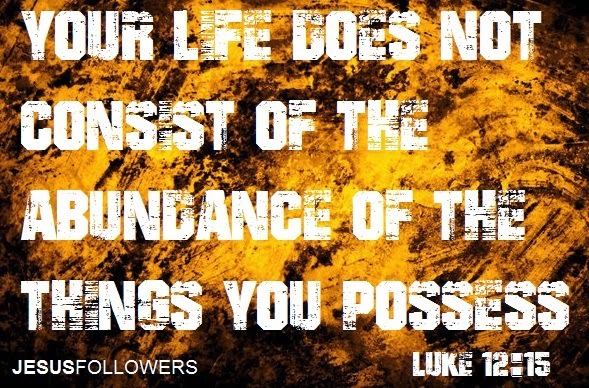 (Mark 8:34; Luke 9:23.) We are to be “other-centered,” not focused on Self. 6. Jesus tells us we must repent of our sins. “Repent,” he says, “for the Kingdom of Heaven is at hand.” (Matt. 4:17.) Repent means to feel sorry about our sins, and work to stop sinning. 7. Jesus calls on us to “go the second mile” (Matthew 5:38–42) which is not a challenge to be lukewarm or partially committed to serving others. 8. Jesus says we must lay up heavenly treasures, not earthly ones that don’t last (Matthew 5:44–46.) The race for wealth doesn’t last, but our rewards in Heaven do. 10. Jesus calls on us to choose the “narrow gate” that leads to God and salvation, rather than the “wide gate” that leads to destruction (Matt. 7:13-14.) The popular way, the easy way of “faith alone” and the way that requires the least work isn’t the way Jesus calls us to approach God. 11. Jesus calls us to “do to others that which you would have done unto you” (Matt 7:12.) This “Golden Rule” has been ignored, demeaned and ridiculed by modern Christendom, but it’s at the core of Jesus’ preaching. 12. Jesus calls on us to follow him (Matt. 4:19.) Jesus sets for us a perfect example of how to live our lives (John 13:15.) We have the ability to serve God through Jesus’ moral commands (Matt. 5:48) strengthened always through God’s spirit and Jesus’ holy example. Let us take up the challenge Jesus puts before us!